Summer finally arrived here at KeefCooks Hall, and it lasted, what, 4 or 5 days? But it was fabulous while it lasted - temperatures in the high 20s (Celcius). It was so hot, I was actually walking around in me shirt-sleeves, and my butter was melting! I did some interesting recipes, including some summery ones (yay!) and culminating in the epic Opera/Covfefe cake which took three days to make and film. Next month is looking pretty exciting - we have an unexpected pile of dosh heading our way, so I'll be able to get me some new equipment (camera, lights, microphones and editing software), and I'm finally going to launch another channel, Keef Makes. I've been thinking about this for quite a while and it's going to cover a whole range of Making-related topics - DIY, 3D printing, CNC, robotics, electronics and coding. Most of which I know very little about so it'll be another epic journey into the unknown. And a lot of fun too. 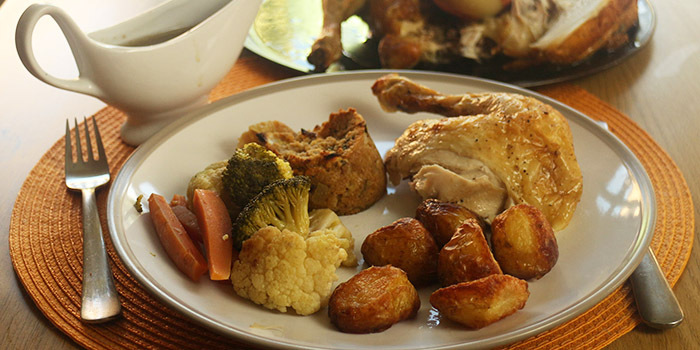 Roast chicken and sage and onion stuffing is one of the great classic British Sunday roasts, and it's easy to make, too. 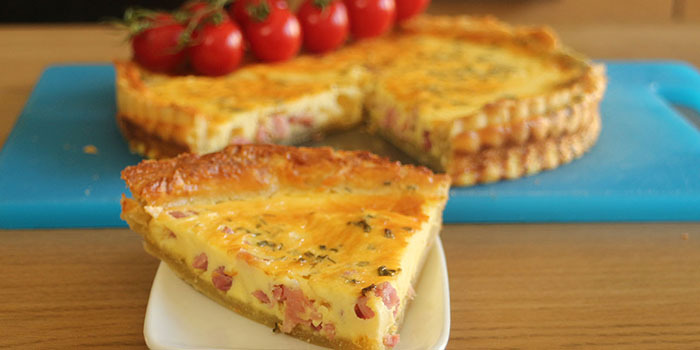 Quiche Lorraine is a classic French egg, cream and bacon flan. It's wonderful for a picnic, or as a light lunch with a bit of salad. It comes from the Lorraine region of France, and traditionally doesn't include things like cheese or onion. You can add those if you like, but then it wouldn't be a traditional quiche Lorraine. 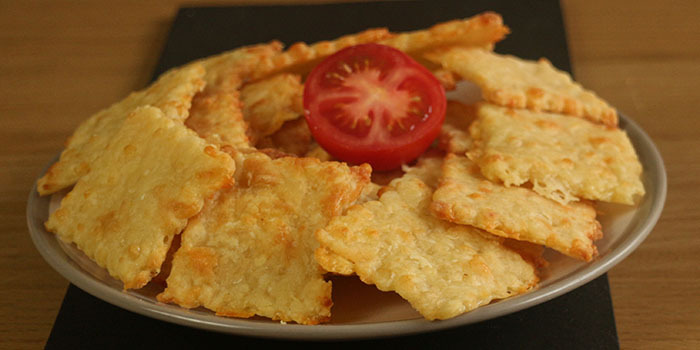 Commercial cheese crackers are okay sometimes, but nothing beats the ultra-cheesiness of these home-made cheese crackers. They are really easy to make, and completely addictive. 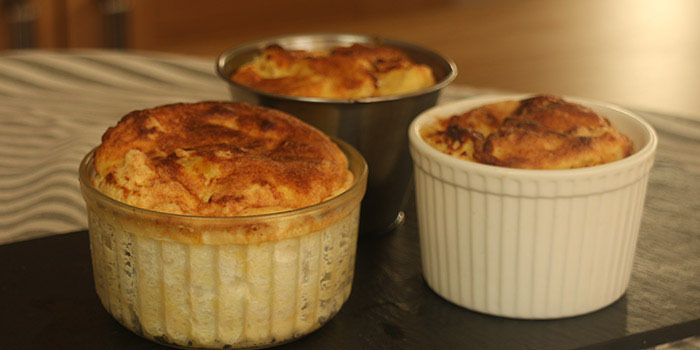 Most cooks and many chefs are afraid of making soufflés, because a collapsed soufflé doesn't look good. However, there's nothing you can do about it - they will deflate after a few minutes, no matter what. The best thing is to get them on the table as quickly as you can after they come out of the oven. 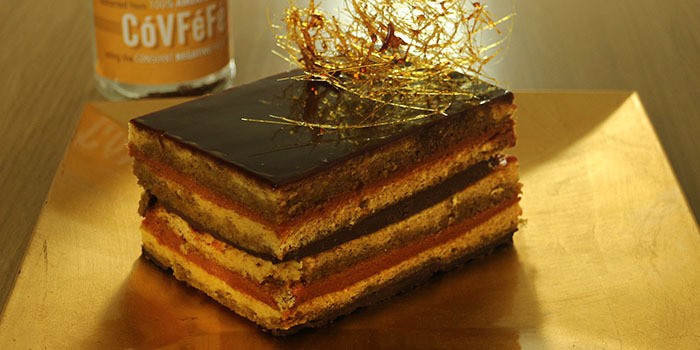 Opera Cake was apparently invented at a cake shop in Paris in the mid-50s. It's made of layers of sponge cake, buttercream and chocolate ganaches, finished with a mirror-finish chocolate glaze. 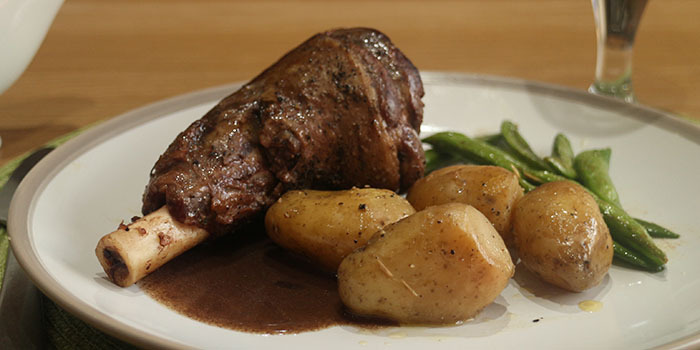 It's best to take your time when attempting this recipe - I took three days over it, but I was also filming it for a video. Anyway, have a go - if you don't mess it up, it's a seriously impressive thing! Me: I was so going to scold you for misusing 'literally' - then I saw your hashtag. #genius! BREAKING NEWS: Colonel Sanders - The founder of Kentucky's Fried Chicken (KFC) is revealed to be still alive and going undercover under the youtube channel "KeefCooks" Private Investigators are hired by companies to discover further information. There is no point in YouTube after this video. I can die a happy man. Inventive, charming performance, captivating, listened to all, great demonstration, Thank you. Wot a load of shite. And, something I really didn't expect - a few supporters of Donald Trump getting upset and unsubscribing. The first one essentially said that being political had ruined my channel (I can't repeat his exact comment - I deleted it for excessive profanity). This genuinely surprised me - all I did was comment on the Pres having a permanent tan and hair like spun sugar - if I was being political you would most certainly know about it! Dawn Morris on Covfefe Cake Sorry, Ducky. Unsubscribing. I didn't think you were as lowdown as those silly actors. Cheers. en totsiens. I asked her to clarify which 'silly actors', but I guess she's gone so I'm not getting a reply. I have no idea who this lady is, but 'en totsiens' is Dutch or Afrikaans for 'goodbye'. Ho hum. Anyway, we carry on regardless - can't please everybody.